The beauty, the power and majesty of creation is all around us even in the animals that live next to us. I remember Rabbi Avigdor Miller zt'l asking us what we would say to G-d when he asked us if we had seen his great wonders or if we had ignored them. After all , they are here not only for utilitarian reasons but for us to admire and enjoy and marvel at. 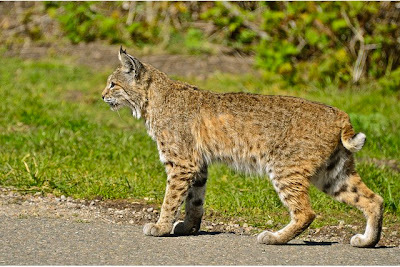 There are increasing reports of big cats all around America in areas where they were thought to be long gone. Those reporting the sightings are reliable witnesses. Wolves and ever increasing packs of coyotes that are also increasing in healthy groups even in New York and New Jersey. They travel in packs through the woods of Ocean County including Jackson, N.J.
Big cats native to the United States are the Cougar, Jaguar, Bobcat, Lynx and the Black Panther which is a kind of Jaguar. Black Panthers have been reported in the UK lately as well. They can weigh up to 200 pounds and measure up to 7 feet in length. They are known for their extraordinary fighting skills and extreme musculature. While many articles say they do not exist, photos and eye witness reports tell an entirely different story. 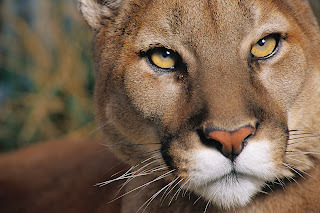 Mountain Lion/Cougar. Isn't he beautiful? 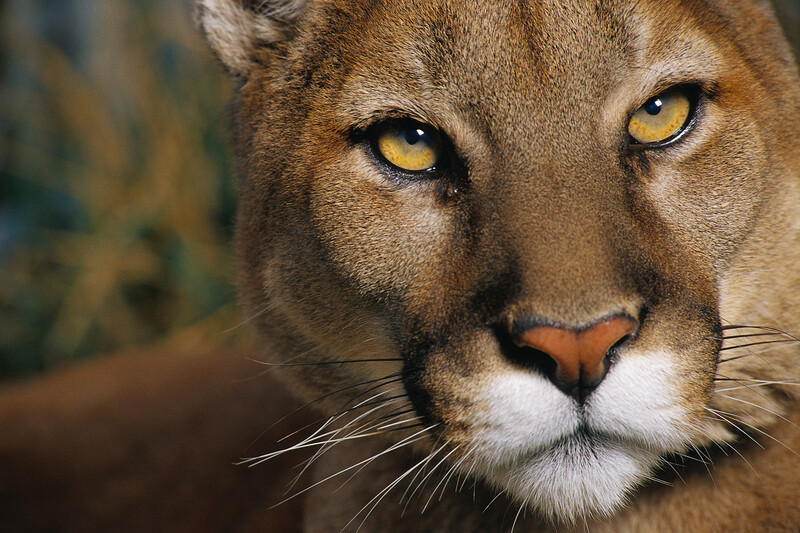 The Cougar, or Mountain Lion, puma ,etc can weight up to around 180lbs. 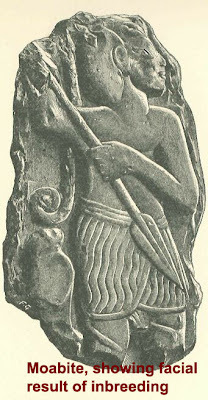 It stands about 32 inches high at the shoulder alone. They are long, slender with long tails. They live all throughout the United States from Florida to Washington . Bobcats are not house cats by any means though they are smaller than cougars and panthers. They can live almost anywhere , even on the edges of cities. They are formidable hunters and are found all across the U.S. It prefers to eat rabbits and hares but will dine on deer as well. 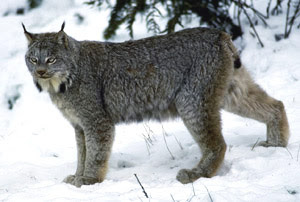 Lynx are more common in cooler areas. They are found from Michigan and Minnesota to Oregon and up into Canada and Alaska. They can be up to 42 inches in length and up to 40 pounds in weight. They can be about 2 feet tall at the shoulder. 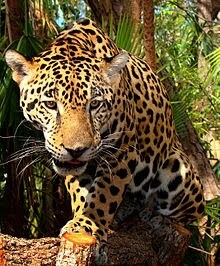 The Jaguar lives in the warmer climes. It is found along the Mexican border and well into Arizona and Texas. It is the third largest cat after African Lions and Tigers. Muscular and compact, males can weight up to 211 lbs , as long as 6 .5 feet long, 30 inches tall at the shoulder. It has the hardest strongest bite of any feline at 2,000 lbf (910 kgf). So powerful is this animal that it can drag a huge bull over 25 feet with little effort and pulverize the bones to powder as it eats. It's *ALL* big animals. There was a black bear walking down the street in Greenville Michigan, and another seen a day later in Lowell this week. Last weekend, a coyote was thumped on the road less than 1000ft from our house. It's too bad he didn't make it down that thousand feet - there are eight free-range chickens of my neighbors that poo on my deck every day that would've made for quite the coyote feast. But I've never seen that before in my life. They're coming out more, getting sighted more. Which means there may be a rise in population, too. Yes they are all making a comeback and losing their fear of humans. The chicken poo is good for your grass. Just wash it down and think of how green it will make your grass! These are all signs of the hevelei mashiach..
That sounds rather mean! poor chickens (and coyote), why would you want them killed? It's not their fault they make a mess on your property! wild ducks come to my garden every spring and summer for the past 4 years- they make a mess and I either pour water over it or the rain washes it. This is a post about appreciating G-d creation. Do you think Hashem loves one creature more than the other?! From what you say your readers can guess your character. A person's nature can be told by how they react to those they are hierarchy to. The duck poo is good fertilizer for a garden. In what way so they foretell the coming Geulah? I believe wild animal increase is one of the signs as per Torah. I can't recall where though. Maybe someone else knows. 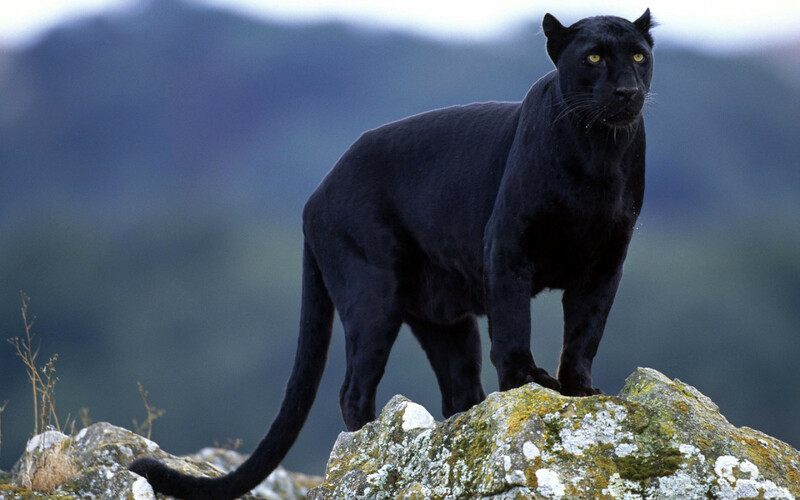 They are actually Black Leopards. In the proper light, one can see the leopard "rosettes". They are indeed beautiful. I've worked with big cats for 25 years,and much prefer that to working with humans. Wow, how exciting that you get to work with them! Thank you for telling me they are leopards. A Rabbi told me that when animals lose their fear of humans it is a sign that nature is disturbed. 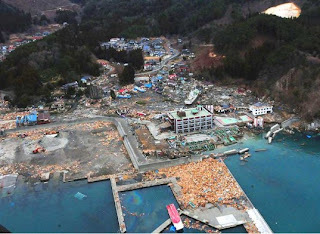 We are told that human actions disrupt nature. 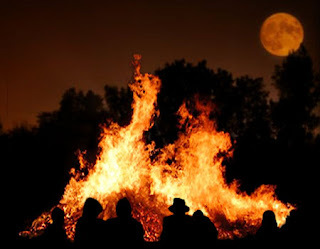 It is a sign of disquiet in the world. Of course Hashem controls "nature" but these animal incursions are a sign that things are unsettled. Perhaps there are more answers in the book Perek Shira? Reading all of the comments above, what about that humans are taking away much of their habitat, invading their territories? AnimALS losing their natural habitats, and also food, they go to where they can find some food. Who can blame them. Blame lies with us humans. Had Daniel, when thrown into the pit with hungry lions, had a camera in his day, he'd have taken the same pictures! It's truly a great and helpful piece of information. I'm glad that you simply shared this useful info with us. Its superb as your other articles :D, thanks for posting. Some of the scriptures pertaining to wild beasts: Leviticus 26:22, Ezekiel 14:15, and Jeremiah 5:6. Lev 26:22 "And I will send the beast of the field among you, which shall rob you of your children, and destroy your cattle, and make you few in number; and your ways shall become desolate." !Stingray!